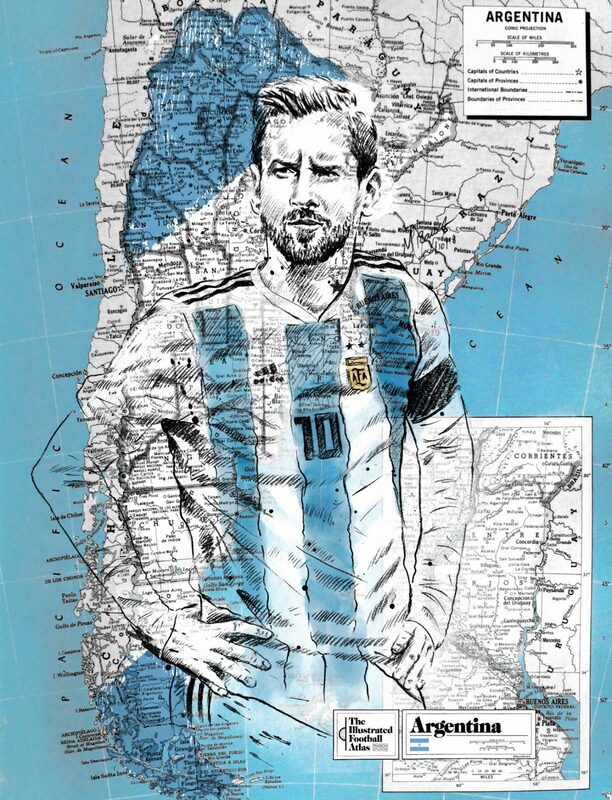 In fusing together his enviable expertise in photorealistic portraiture, a lifelong penchant for cartography and an innate love of football that, like most fans, experiences a palpable surge every four years, award-winning artist and designer Michael Raisch has spent recent weeks eagerly beckoning the 2018 World Cup in Russia with his sublime new multimedia project, The Illustrated Football Atlas – an illustrated portrait series blended with vintages maps and atlas layouts. Kicking off a brand new series, The Gallery, where we join contemporary creatives at the so often enrapturing intersection where football and art meet, to delve deep into their portfolios in search of both aesthetics and answers, These Football Times sat down with Michael to find out more. 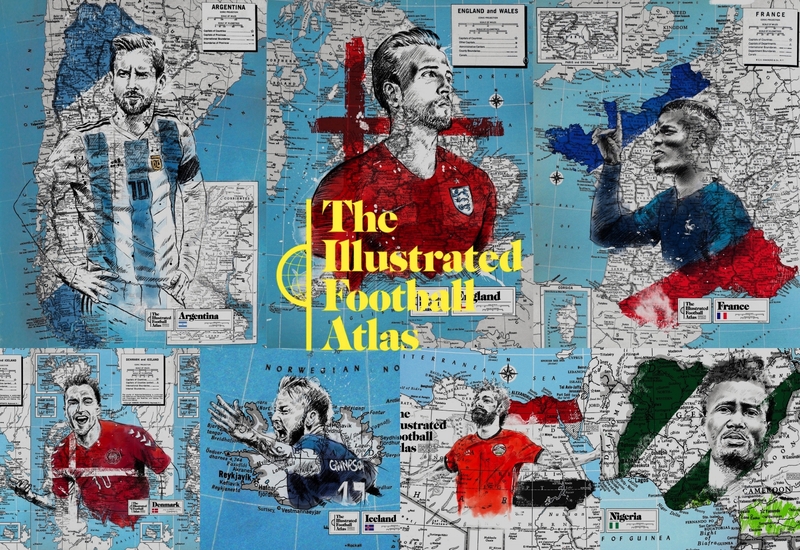 So unique in its style and stunning in its execution is The Illustrated Football Atlas, there could hardly be a more fitting series with which to count down to the World Cup. Where did your inspiration for the series originate? 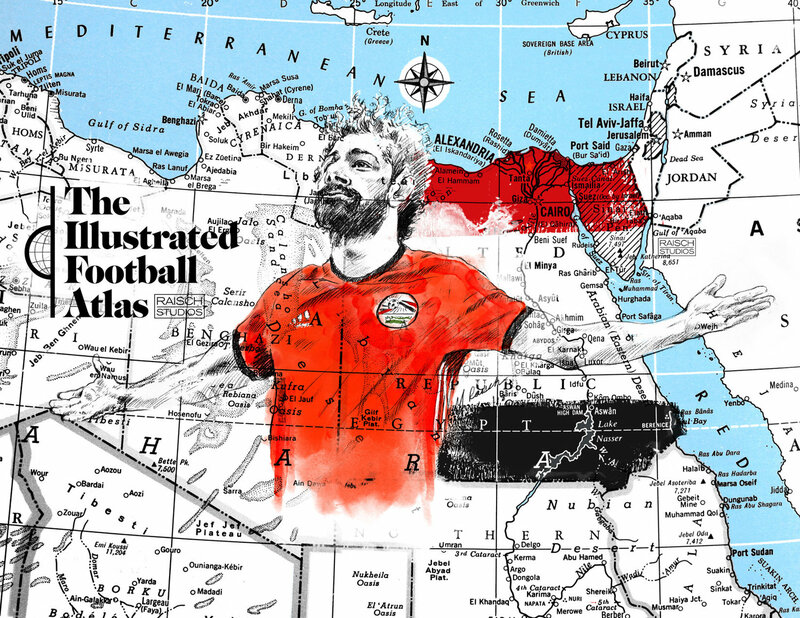 Did it just seem like an obvious connection: presenting World Cup players with their countries literally behind them and did the concept arise from a pre-existing love of cartography or travel? “When moments like the World Cup come around and the world truly shares in an event, especially through social media, it’s just wild to me, so to tap into that connectedness is a great set up and catalyst for a series. There is so much energy and excitement leading up to the World Cup, any creative knows to jump on a collective and shared spirit. It’s really inspiring. “I’ve always found maps and landmasses visually interesting from a young age. Especially how they were a physical medium, found in reference areas in grade school libraries pre-internet. 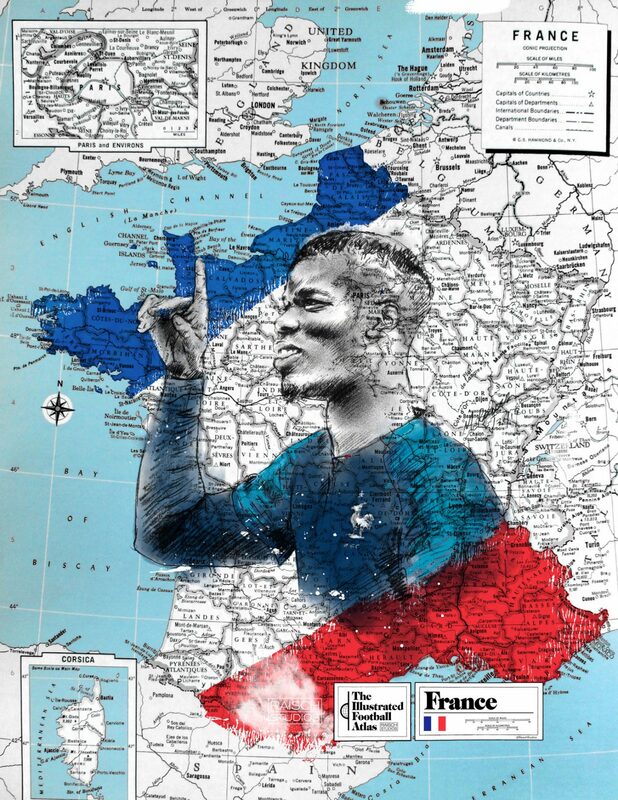 So to pick up on that interest and then combine it with my portrait works was a great way to celebrate the unique countries, kits and cultures in the World Cup. “I’ve been thinking about where the love of maps came from and, they say an artist puts themselves into the creation in some way. I found it interesting to revisit analogue and physical reference materials that throwback the late 1980s in grade school. There’s something unique to how information was laid out and presented in the 1970s and 80s in print. I’m certainly also old enough to remember when the classroom maps changed from the USSR. 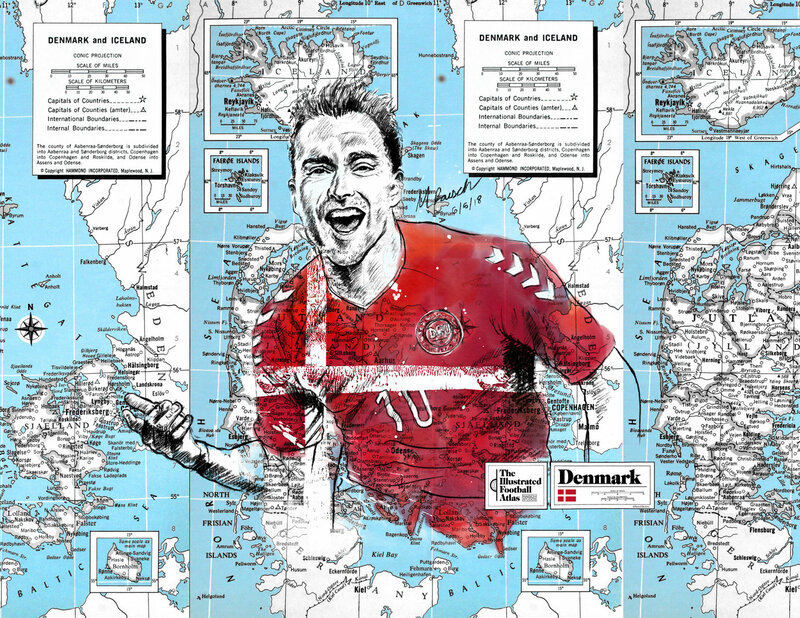 Could you tell us a little about the process behind making your pieces for The Illustrated Football Atlas and how you choose which player will represent each nation? “Part of my process is using the design and illustration-oriented audience I’ve grown on Twitter. 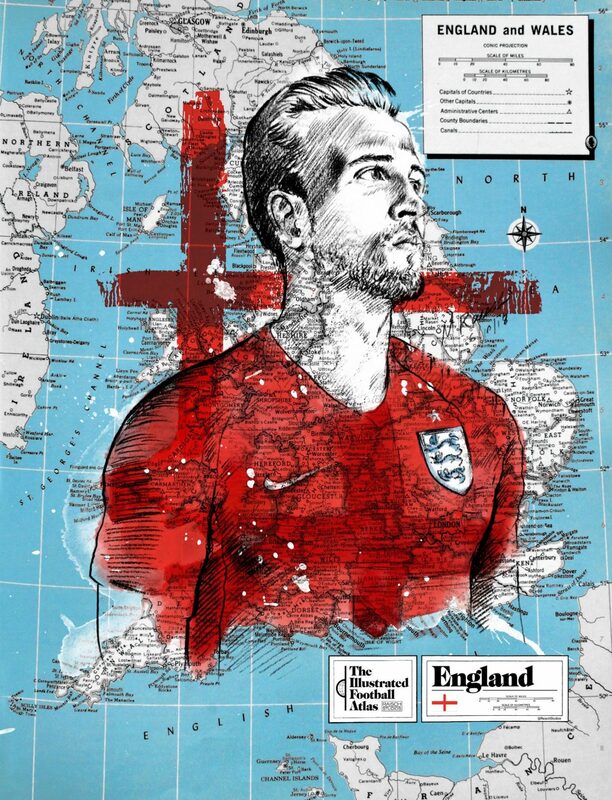 I recently did a ‘trial balloon’ of Harry Kane, in England’s red away kit, and tested the concept of placing the player over a map his country. To my amazement the tweet and process video racked up well over 12,000 impressions in just two days so, I thought, clearly I was onto something. Does this project represent a departure from your usual style, means of art-making or content? “My background is in sports branding and sport event logo design and, honestly, after that onscreen day-to-day experience, it’s really nice to disconnect and go analog sketching. In terms of style departure, I would call it an evolution. I’ve been sketching photo real portraits since middle school, more than 20 years ago. Having my sketchbook passed around in high school was great for talking to girls! Can we expect to see all 32 nations participating at the 2018 World Cup to be represented in your series and are there any plans to commemorate the tournament’s winners with a special, celebratory piece? 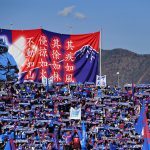 Maybe a move into domestic football beyond the tournament? Are there any previous projects of yours that fans of this particular series would enjoy finding? Thanks to Michael Raisch for speaking to These Football Times as part of The Gallery. 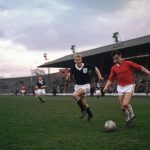 If you’re an artist for whom football remains the ultimate muse, and you’d like to feature in The Gallery, please email us with examples of your work.